These elegant earrings are a really nice match set. 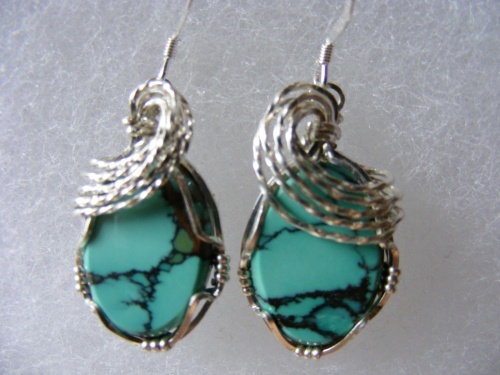 Uniquely designed with argentium silver swirls that make them and you look so pretty. Hand wrapped in argentium silver to keep them shiny and new looking for a long time.